I love the idea of New Years Day. I whole-heartedly dive in to the “new year, new me” mentality, despite what some experts may say about it. It is a time for deep self reflection and an opportunity for continued self-improvement. And boy do I love me some good ol’ self improvement. I thrive, not on self-flagellation, but on the concept that we live in an amazing era and can always work to improve ourselves. I know I won’t reach perfection, but I feel the need to strive for it. As a father, husband, and educator, one area that I’ve grown increasingly concerned with is my time spent mindlessly using technology. I scroll social media, constantly search for and read too many articles, and I check email at all sorts of hours. As 2017 came to a close, I started to take issue with my smartphone and what it is was doing to me. I’ve become upset with the designers of our technology, luring us in and hooking our attention with proven psychological techniques that deprive me of the time that I’m always chasing down week after week. As I struggled to keep my eyes open, watching Mariah search the stage unsuccessfully for her cup of tea, surrounded by millions of semi-frozen people waiting for the ball to drop, a commercial for Google played. It was a 2 minute spot that successfully tugged at my heartstrings through savvy use of images and music, and it presented the most asked question of the year 2017: How? For starters, despite the many atrocities of 2017, there is immense hope portrayed in this commercial. In the face of tragedy, people show incredible compassion. Progress has been made in so many areas of life. So many family and friends are incredibly stressed by the world right now. It is easy to think that everything is on the decline and only getting worse. Step up on Mr. Keating’s desk, however, and your perspective may shift. We are bombarded daily, with all that is wrong with the world that we forget to look for what is right and what we have to look forward to. We, collectively, have started to become guilty of historical nostalgia, longing for the days of old, when smartphones didn’t exist and nothing bad ever happened, ever. Some even think everything back then was “great”. I’m as guilty as the next person. I long to run out into the woods and unplug, despite nearly breaking out into hives every time I lose my cell signal. I talk about video rental stores like they were better than Disney World, forgetting the fights that ensued over which tape to rent and the massive time commitment they took. Maybe the problem with how we look at our technology is the same problem we have with our view of New Years resolutions. We fear hard work, we are always looking for a magic pill to take away our suffering or an easy scapegoat to explain away our behavior. The shortest workout. The cheapest gadget. The next great app. The cell phone that will revolutionize your life. The book that, once read, will change your habits. None of it matters if you never take stock of your own emotional, mental and psychological well-being and face the fact that: We. Are. Weak. To be human is to be massively flawed and yet to still have the potential to improve and strive for perfection through learning over time. I take incredible issue with the attention economy and the metrics that social media and cell phone manufacturers use to gauge their success. I do not think it is for the betterment of human kind. I want designers who respect my time and want to help me become a better version of me. I believe that is possible. BUT. In the meantime, that process is completely and totally up to me. I can’t blame the cell phone. I can’t blame Facebook. I can only change my own behaviors around these products through education and I can hope to model that behavior for those around me. Awareness – Check out the links within this article. Tristan Harris and Nir Eyal are doing excellent work advocating for a more ethical system that can help people rather than rob their attention. Cal Newport is the productivity guru that you never knew you needed. Define why you are using social media – and what benefit it has for you. For me, I enjoy the accountability that facebook can provide for my fitness goals and I enjoy keeping up with friends and family. I love using Twitter to discuss issues with my PLN. I officially obtained my old man card and gave up trying to use Snapchat. Track how much time you use on your phone. Try the free version of Moment and see if you are comfortable with spending an hour plus of your day on social media. Delete apps, not accounts – Apps are convenient and easy to use. I deleted the Facebook app from my phone and it drastically reduced the amount of time I spent on it, for the better. I now use it from my browser and I am working on only using it from a computer. Turn off notifications. A notification could be more accurately named an “interruption” and we all have too many of them in a day. This tip alone could completely reshape how you use your phone. Finally, as a priest from my prep school told me when I was 16, “Don’t be so hard on yourself!”. We humans are allowed to distract ourselves occasionally. We are working hard every day and some time wasting is not only inevitable, but necessary. Don’t beat yourself up if you or your kids are looking at screens for a good portion of the day. If you are feeling guilty and looking to make a resolution in 2018, though, start with some “How?” questions, throw away your rose colored glasses, and remember that things are pretty great right here and now. The 1983 movie Mr. Mom is, in my opinion, Michael Keaton’s finest performance of his career. Mr. Keaton plays Jack, a family man who loses his job and becomes a stay at home Dad while his wife goes back to work full time. Given that we have yet to fully appreciate the immense amount of work that parents do as a society, I’d argue its still as relevant today as it was 34 years ago. But I digress. My favorite line from the movie comes when Jack, who has started to let himself slip a bit, argues with his wife about how tough his new role has become. Check it out below. “I yelled at Kenny for coloring outside the lines!”. If you can’t identify with this statement, you may have found your peach tree to sit underneath and meditate long ago, and this post may not be for you. But if you have ever had one of those days. The kind where you have been prone to snap, make judgements a bit too quickly and you think that your brain may be turning into oatmeal, then read on. With the hustle and bustle that is everyday life as an instructional coach, husband and dad, it has become abundantly clear to me that a proactive approach to overall wellness, especially regarding mental health, is essential to attempt to move from the “survive” column to the “thrive” one. We all know that it is important to take care of our bodies. So much of that discussion focuses on the food that we put into our bodies. Much of that discussion has progressed, I believe, towards more sustainable “wellness” models as opposed to yo-yo dieting. Sleep is also essential and more people are advocating for both our children and adults that being tired is not a “weakness” and that to be a healthy and productive human being, sleep is as important as the food we eat. However, one of the most obvious keys to a healthy well-being is a tool that we are using every minute of every day: breathing. Focused breathing can significantly reduce stress in both adults and children. So while we may not get enough sleep because we have so many responsibilities and we may not eat a perfect diet becomes sometimes running to Wawa is the only option that fits into our schedule, taking 1 minute to stop and just breathe is an incredibly effective option for reducing our stress and improving our overall well-being. When you breathe deeply, you lower your heart rate and blood pressure, increase the oxygen supply to your brain and you relax all your muscles. Imagine being able to enter such a state right before a difficult meeting or class. It might be the edge that you need to be just that much more empathetic towards the people you are interacting with. Mindfulness is enjoying its time in the wellness spotlight lately and for good reason: its a cheap and effective way to reduce stress and it has been embraced by a larger percentage of the population that may have thought “meditating” was for weirdos or hippies. Dan Harris, an anchor for ABC news even wrote a book about his personal journey towards mindfulness that is exceptionally accessible to people who might think of meditation as too touchy-feely/foreign. More than a couple good friends of mine have recently started to use the Spire wearable to help deal with some stress and anxiety and focus on their breath. Its a small device that clips to your belt line and communicates with an app to measure breathing rate and notify you if you seem tense or at ease. By getting a notification that you are tense, you can stop what you are doing and focus on your breath for a moment. My one friend describes it as magic – that when he tenses up, he “focuses on his dots” and brings his breathing back down to a normal level. It reminds me of the Ed Norton Jr Hulk movie, in which he wears a heart rate strap so that he doesn’t turn into the hulk unless he really wants to. Headspace is one of the most popular mindfulness apps out there right now but my personal favorite is Calm. They offer a free premium account to all educators and have meditations specifically designed for children of all ages. I can’t think of a single classroom that wouldn’t benefit from access to this tool. I’ve used Calm sporadically for a number of years now. I got over my initial misgivings and attempt to sit for 10 minutes of guided breathing each morning before work. I used to put the nature scenes on over my projector after a particularly difficult class and just listen to the ocean or rain for a few minutes. It’s an incredibly feature-rich app that I consider an essential part of my mental health toolkit. While I love Calm, there are many days where 10 free minutes does not exist in the morning. I recently got the Apple Watch series 3. One of my favorite features is the “Breathe” app. During the day, the watch will buzz you and remind you to breathe deeply for 1 minute. This may be the closest I ever get to daily meditation. Frankly, it may be all that I need. Initially, I relied on the app to remind me periodically through the day to complete a breathing exercise. However, I have found myself opening the app either right after something stressful or right before I know that may become stressed. This is my greatest takeaway and habit from my experience in learning about mindful breathing. It may not be a full body meditation, but its enough to recenter me and slow myself down. People didn’t read your email. This is not a personal attack. We all have too much information coming at us. You have to repeat instructions. See above. I’m excited to get started writing again for the ISTE Ed Tech Coaches PLN “Blogging Buddies” challenge. I have a wealth of drafts but without an external deadline I find it exceptionally hard to hit publish. I’m happy to have found not only that accountability but to be paired up with 4 other tech coaches to give me feedback and to write together. I need to write once a month but I’m shooting for once a week. I hope you enjoy what I have to offer! 24 hours after year 2 of Edcamp Garden State I was standing at the start of a 5 mile race. The enormous amount of positive vibes I received from the edcamp experience propelled me through every mile in a way I rarely feel when running. I had one of my greatest running performances ever and I really believe it was the energy from all the people that attended that carried me to the finish line. In a word, I was so PROUD of our organizing team, school and community for creating such a worthwhile experience for the educators in and around South Jersey. Now I want to make it even better. We went out on a limb as a team to try some new things this year. For starters, we wanted to utilize some of our outdoor spaces. Thankfully the weather cooperated and we had 2 session “rooms” located outside our cafeteria by picnic tables. This was a highlight for me. It harked back to the days as a student and pleading with your teacher to “have class outside”. I led a session on “Digital Minimalism” based on a blog post by Cal Newport as well as inspiration from The Minimalists, Gretchen Rubin, and Tristan Harris among others. My headspace is stuck, in a good way, on determining how to use tech in the most intentional ways both professionally and personally. It was a great discussion and I loved being able to have it outside. Many people said they enjoyed the outdoor spaces and I think they naturally lend themselves to that Edcamp session ideal – a free flowing space for the exchange of ideas among educators. No chalkboards, projectors or whiteboards to distract us. We were fortunate to have our own Ms. Carol Wahl open her Greenhouse to everybody and even facilitate a session on the program that she runs with our students here. I hope to expand our use of outdoor spaces for EdcampGS 2018! We also ended the day outside with a local food truck that serves amazing crepes and Mr Softee to help cool us off. While people lined up for food we were serenaded by our own chemistry teacher, Ms. Dominiak, and strings teacher, Mario Desantis, playing the violin. I’m not exaggerating when I say it was a beautiful culmination to the day. I can’t thank the organizing team enough for helping put on such a great event. I have a long way to go when it comes to delegating (I hate asking other people to do things…). Thank you to the folks who stepped up regardless of this and said, “Dan, I’m doing this, stop worrying about it, we’ll be fine…”. After 2 years I think I can improve that leadership when we plan Volume 3. Hosting an Edcamp is a lot like planning your own wedding. Months of decisions, stress and worrying end in a day that feels like an absolute blur. There were ideas that I had, that I may have even written down somewhere, but that I just did not follow through and execute. I wanted to circle up chairs in session rooms. I meant to not include names/handles on the session board. I wanted to explain that it is ok to have sessions that are more presentation than discussion (I know I know… more on this in a second). The week leading up to Edcamp was PARCC testing and some of these ideas got lost in the shuffle. That’s why I’m writing now – to look back, take stock and take a step forward. The mantra I repeated to myself over and over was, “Don’t let the perfect be the enemy of the good.” Sometimes, “good enough” is just that. Its good enough. I constantly want to improve but not to the point that it paralyzes me or others, or worse yet, turns them off. I learned a long time ago from my dear friend Jess Raleigh, organizer of Edcamp Denver, and founder of the Breakfast Club chat on Twitter, that all you need to put on an Edcamp is a place and people. The rest is just gravy. Its really true. An Edcamp is basically a bunch of impassioned educators getting together to exchange ideas over coffee. With lots of bells and whistles. The minutiae should add to the experience and I would hope that everybody who walks away from an Edcamp feels empowered, inspired, re-awakened or some combination thereof. The early feedback indicates most of our participants would identify with this. I would be remiss if I didn’t formally thank both my co-founder Brian Kulak for being a constant “Yes man” when I had doubts, for all his hard work in making this event happen and for being a postive source of energy to fuel the Edcamp Garden State experience. Also, to our superintendent, Dr. Scott Oswald, for supporting such a progressive experience, opening the doors to our district to educators from around the state, and for being an active participant in the experience. The first step to planning an Edcamp is securing a venue and that has been our easiest accomplishment thanks to the support of Dr. Oswald and all the administration. If you’re reading this when I publish it, this weekend is Edcamp Happy Camper in Washington Township. Keep to learning and momentum going! Did you attend Edcamp Garden State? Do you have feedback on some of our “Bells and whistles”? Let me know in the comments and I hope to connect in person at an Edcamp someday! As part of my graduate internship for St. Joseph’s University, I will periodically be blogging and reflecting on my progress. One of my goals is to attempt to streamline the number of apps that are recommended and supported for the educators in our district. It occurred to me that the stakeholders who might know which apps are best in the classroom are those that are using them the most – our students. What follows is my reflection on creating a survey for students to be given out this fall. My youngest son recently started using “big boy” utensils at the dinner table. Witnessing his blossoming independence is an incredible experience and one that, if you are a parent, I’m sure you remember fondly (for the most part). Maybe you can identify with the following scenario as well. You want to help this tiny little cherub eat more efficiently and they throw, sometimes quite literally, a temper tantrum. I have watched my son try countless times to use his spoon and fork, drop the food to the dog and stare at me to get him more. It can be really funny and frustrating at the same time. The thing is, he has a sense of control. Sure I cook him dinner and I bring him to the table, but when it comes time for the important stuff, he gets to be the boss. Imagine how you eat a sandwich, with the bread essentially parallel to your teeth. He likes to eat it so the sandwich is perpendicular. Oh and apples – he starts from the very bottom… and eats the entire thing! Crazy right? But it works for him and he does not want to be told otherwise. Learning is happening almost every minute of his life right now. While guided by his mother and me, he is making countless choices of his own. Since becoming a parent, I have had a great reminder of what growing up looks like and the power of giving children a choice. We, as educators, say that we have our students best interests at heart. I have no doubt that this is true in most cases. However, given the ability to differentiate instruction afforded by advances in educational technology, we have an obligation to meet students where they are and consider their opinions. Think about the apps and tools that you have used in your classroom. Have you ever asked for the students opinion of them? Have you ever asked what kinds or even how much technology they like to use when learning? It is a fact of life that everybody has to learn to compromise at some point. I am not suggesting that every student be catered to 100% of the time. Rather, give them a voice in their own learning. Specifically, before we dive into any kind of edtech initiative, see how students respond to it. Do your students learn better from watching videos? If so, then that may be worth your time. Do your students ever check their email? Don’t force using it in a world that is moving towards more messaging apps like Slack and Remind. Do your students tire of using their device all day in school? Ask them! You might be surprised by the answer. We can’t continue to speak for our kids and hold to the belief that we have earned the right to control everything. 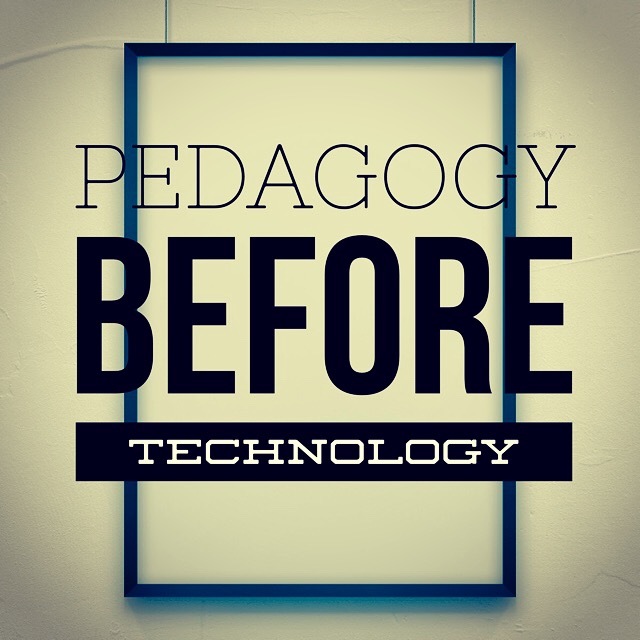 When choosing your tech tools, start with the student in mind. It is easy to get caught up in the coolest, flashiest and newest tools. While it is important to stay current and relevant, a constant chase for the newest thing in edtech can prove exhausting at best and costly to student learning at its worst. Start your school year with a survey to your kids. Get to know them as best you can and give them a voice in the decisions of your class. Just as I provide the apple to my son but let him eat it in whatever way he sees fit, you still maintain control of your classroom. And at the end of the year, ask your kids if giving them a choice made a difference. I’m betting they’ll say yes. As part of my graduate internship for St. Joseph’s University, I will periodically be blogging and reflecting on my progress. During the closing weeks of the school year, I decided I needed to tighten up my Google Apps knowledge. I had put off becoming “google certified” because I honestly wasn’t sure how valuable it would be. After some reflection on the year and the needs of the staff at my school, I thought it would be a good idea to “beef up” my Google knowledge and the certification process seemed like the obvious avenue. Despite the school year winding down and all the chaos that comes with that, I really enjoyed the process and the certification exam. What follows is a reflection on my thirst for knowledge. Pretend like it matters for a second: Is learning cool? If you’re honest, most people probably don’t think so. That’s why there is a nerd stereotype at all. Its why when we are suddenly and passionately talking about our work we say that we are “nerding out” as if talking about our learning is reserved for so-called geeks. Its why people act a little surprised when the star athlete and cool kid is also an excellent student. Learning is so often associated with pouring over a textbook, writing a research paper, taking a test and going to a stereotypical-traditional-sit-in-rows-and-serve-your-time institute of education. Learning frequently is equated with school. And school, for the great majority of people, does not equal cool. In the modern world, learning does not have to follow this pattern. School does not, and should not, either. Let’s put a pin in that thought for now. Embrace learning, for yourself, right now. A friend recently shared an incredible video of Isaac Asimov being interviewed and “predicting” the internet as we know it today. When you have 10 minutes, I highly recommend you give it a watch. At the 7:00 mark, Mr. Asimov states, “there’s no reason then, if you enjoy learning, why you should stop at a given age.” While I write this in a coffee shop, there is a small group of elderly folks discussing a book and apparently learning Italian together. How awesome is that?! As we move forward as a society, there is more and more information available to us. None of us can be an expert at everything but all of us can be experts at something. Pick something you have a passion for: music, gardening, photography, whatever you like – and start learning more. Just whip out that smartphone and start searching. Soon you will start connecting with people. Share your successes and failures. Find an enjoyable route towards learning and then try to create that passion for knowledge within your students. Model the learning process. Learning does not have to lead to a degree, a certificate or a job. Some of the best learning occurs without any of those incentives. Become the lead learner in your classroom and ignite a fire in your students to want more. Ultimately, most of us don’t care if learning is perceived as cool. Or we realize that the nerds actually are the cool ones. But for kids – it can matter, and the whole concept can be upda. We need to collectively move away from the old style notions of learning. Learning is what sets us apart from other animals. It is merely exercise for the brain and it should be done daily. We have the tools and technology to allow for anybody to learn anything at anytime. How is that not the coolest thing EVER? In the Asimov video, he recounts a story about Oliver Wendell Holmes, who, at the age of 92, was asked by president Theodore Roosevelt why he was reading Plato. “To improve my mind” he replied. Now go nerd out over something. As part of my graduate internship for St. Joseph’s University, I will periodically be blogging and reflecting on my progress. At the close of the school year and as part of the beginning of my internship plan, I created surveys to get feedback from the staff on my value to them, their comfort level with technology and other questions that can help me to plan for training in the fall. The following is a post about my process of reflecting on this first year as a tech coach and the expectations I place on myself and others. My mom has told me, more times than I would have liked, the story of when I threw a tantrum in a supermarket when I was 3-4 years old. I wanted some candy in the checkout aisle (watermelon Bubblicious gum if my memory serves correct). It was a doozy: full throttle, arms and legs pounding the ground, screaming, kicking and crying. It is only now, when I have children of my own, that I understand the complete and utter embarrassment that I was causing her. What did she do? She calmly placed her items on the belt and waited to pay. And ignored me. Even as people started to stare at the spectacle I was causing (No cell phones back then to divert your attention) she just kept moving forward. Channelling her inner Mick Jagger, “You can’t always get what you want” was the lesson my mom started teaching me that day. It worked, sort of. Confession time: I still throw those little hissy fits. The only difference is that they happen inside. They happen when I get impatient with the process of change in utilizing technology in our schools and becoming a more relevant educational institution. As we wind down this school year, I have reflected on all my work and found myself frustrated that we haven’t moved even further ahead than where we are. I’m frustrated that I haven’t helped more people realize the amazing potential of social media to advance one’s own learning and connect to educators around the world. I’m frustrated that more blended and flipped learning could be happening in classrooms and faculty meetings. When your catch phrase is “relentless forward progress” it is hard to exercise patience. There it is. Whether we are talking about Democracy, Public Schools and the Educational system or our everyday personal relationships, the hissy-fit method just won’t cut it. We need a serious dose of patience when it comes to the evolution of the American classroom. So many connected educators get frustrated at the state of the modern classroom. It is not without good reason, but an overnight change just won’t happen. We can not create an “us vs. them” culture with regard to educational technology. Doing so will only further increase the gap between so called “modern” classrooms and the “old school” model of teaching and more importantly, the educators in those classrooms. For the greater good, as well as our own betterment, we must focus on positive, incremental change. Any frustration we feel should be channeled back into better efforts at modeling the change we seek and patiently helping those who need guidance. We need coaches, integration specialists and administrators who consistently show the positive benefits of progressive pedagogy and savvy technology use. As my good friend and colleague, Cathy Isaacs (@iwearthecrowns) once tweeted to me, “It’s like teaching a kid how to cross the street. How many times did we (and still) tell our kids to look both ways?”. So what’s the answer? Rest on our laurels while others catch up? Give up and resign to the idea that some people will just never change? No. We relentlessly pursue the best methods of teaching and learning for our students. We model and share those. Every. Single. Day. We are persistently patient with our colleagues who are resisting change. Change is hard after all. As educators it is imperative that we model the type of collaboration and collegiality we want to see more of in this world. Look around. There are plenty of grown ups throwing hissy fits and hoping the “other side” will change. Let’s be the change we want to see in our schools to positively impact student learning. The threat of a hurricane on top of end of the week rush hour traffic through New York made for a stressful (and long… so long) trip from South Jersey up to Hartford, Connecticut this past Friday. After decompressing from the entire trip, I must say that every minute of the long ride was worth it and then some. 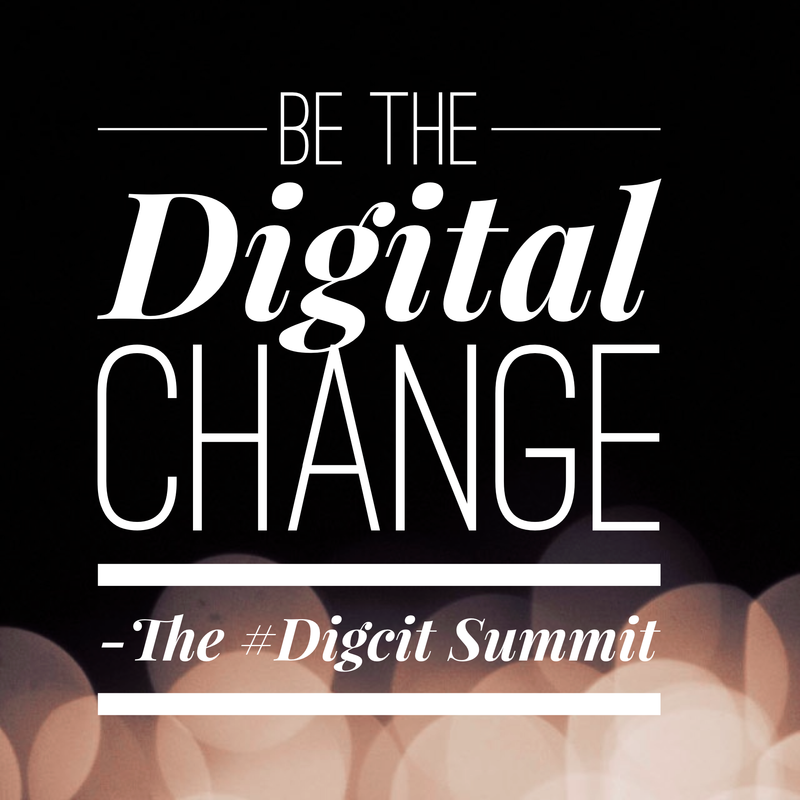 The first Digital Citizenship Summit, hosted by Marialice Curran (@Mbfxc) and David Polgar (@techethicist) was a one of a kind get together and a necessary call to action to the 200+ attendees. Having attended a lot of conferences over the past year, I can say confidently that this one was really unique and that it affected me deeply. It’s always intimidating going to a conference alone. I walked into the building greeted with a bear hug from Marialice. This woman rocks. 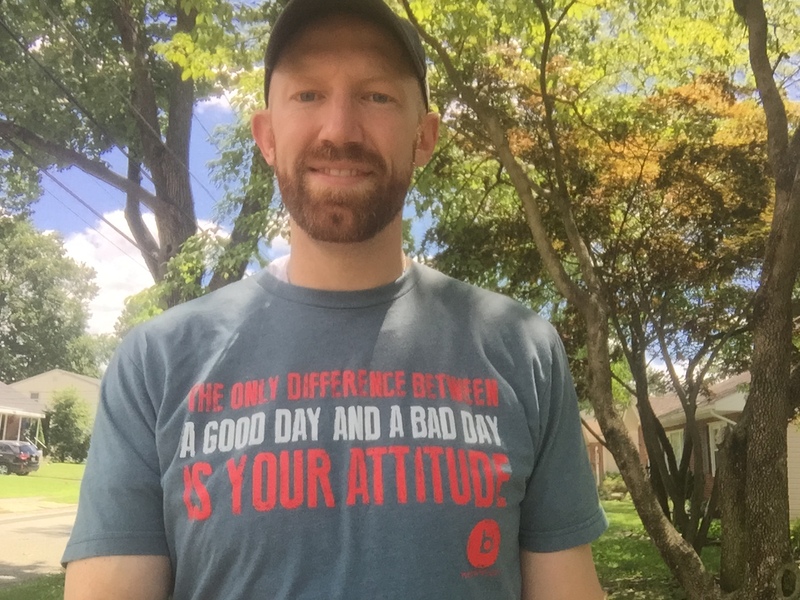 As seems to happen often lately, I ran into an awesome Twitter contact, Rob Pennington (@Robpennington9) and we hung out throughout the day, commiserating with each other over how addicted we are to our own devices and how the sessions challenged our beliefs and habits. Before even sitting down for the opening, Rob introduced me to Edu-Rock Stars Sue Bearden (@s_bearden), Matt Soeth (@MatthewSoeth) and Kerry Gallagher (@kerryhawk02). I feel like I say this all the time; it never ceases to amaze me how friendly and open the people in Ed Tech are. The opening by David and Marialice was a true call to action. “It’s not enough to just like an article online, we have to DO something about Digital Citizenship” said David in what was a humorous opening to the day. Marialice, sporting the awesome T-shirt “Be the Digital Change” echoed these thoughts in her energetic and emotional opening as she stated that DigCit can no longer be an “add-on” to the curriculum. By infusing digital citizenship into schools and homes, we are teaching the next generation how to make the right choices and how to empathize with others. The panel discussion was such a great way to kick off the day’s discussion. Moderated by Sue Bearden, Dr. Mike Ribble, the godfather himself (@digcitizen), Denise Lisi Derosa (@DeniseLDeRosa), Dr. Shelley Prevost (@ShelleyPrevost) and Reuben Loewy (@LivingOnlineLab) engaged in a very rich conversation about what digital citizenship means to them, where we have been and where we need to go in order to live more intentionally and utilize our technology in the most responsible and ethical ways. I Periscoped the majority of the panel and you can view it from my Katch. When I looked at the first session offerings, I had to choose between a session I thought would benefit the students of my school and a session I thought I needed for myself (desperately in all honesty). I choose to invest in “me” and went to see Janell B. Hoffman’s session “The Slow Tech Lifestyle: Integrating Digital Mindfulness Into Your Personal & Professional Lives”. Wow. I was blown away. I had read Janell’s contract with her son a while back and was intrigued, but I wasn’t ready for the message yet. Now that my son is almost 10 years old and I am constantly glued to my own phone… I need a little wake up call. While the issue is really that of health and common sense, it needs the right spokesperson who understands that this is not a black and white issue. Some people decry cell phones as evil and insist that they will live “off the grid” while others insist that eye contact is old fashioned and that this is the “new normal”. There is a happy medium, but it can only be done with intention and mindfulness, which is exactly what Janell is preaching. Our phones and technology enhance our lives, our conversations and our connections a great deal. But we need to make it work for us, not the other way around. I ordered Janell’s book, iRules, immediately and can’t wait to read it. After a trip up to the college dining hall that gave me flashbacks of my freshman 15, I was lucky to get the chance to eat with Rob, Kerry and Sarah Thomas. I can’t state enough how awesome these people are. The poster sessions followed and I was able to speak to USJ Freshman, Victoria Maringola (@vmaringola) about her anti-bullying project, H.O.P.E. She had a really great idea for students to report bullying in an online secure location. She also visits schools and talks about her personal experience with bullying which is exactly what kids need to hear. Bravo Victoria! Post lunch sessions started with Kerry Gallagher, speaking about infusing digital citizenship into the curriculum. I was really excited to finally see Kerry present after following her on Twitter and reading several of her articles. She did a fantastic job modeling techniques that we can all use when giving a PD session, including questions on Socrative and getting us up and moving to scan QR codes. All of this while facing some tech difficulties and managing a room of overflowing people. I really connected with her honest dialogue about her role as a non-administrator (We don’t want to collect things from you!) that is trying to help teachers. She provided some great examples of digital citizenship completed by various subject area teachers. Her slides are provided at the link at the bottom of this post. Kerry was recently appointed the director of k-12 education for Connect Safely, a nonprofit in CA that is “dedicated to educating users of connected technology about safety, privacy and security.” They are a great resource for educators, parents and students alike and they are very lucky to have Kerry on their team. The next session continued the trend of unique information as Sarah Thomas (@Sarahdateechur) presented, “Protect Yourself, Fool!”. I think I’ve run into Sarah at every conference I have ever been to – I don’t know how she does it, but she is everywhere! Despite this I had never had the fortune of seeing her present. She talked about various nefarious schemes that people are using to try to steal our information, money or identity. Wifi sniffing, skimmers, spoofcards and drones, oh my! There is some scary stuff going on out there and it was great to go over this information. Sarah finished with a demo of her cool little drone and enforced the message that it’s important to protect yourself, but that not all technology is being used for harmful purposes. The final session of the day was led by Jennifer Scheffer (@JLscheffer) and Timmy Sullivan (@TimmyS54). While I knew of Jennifer and her awesome student run help desk at her school in Burlington, MA, I kept hearing through the day, “You have to come see Timmy!”. Timmy is a high school senior (Yes… He was presenting at a national conference! But only after finishing his SAT subject tests that morning!). They did an awesome job at closing the conference with a message of real world technology use and the importance of digital maturity. Timmy doesn’t have an immaculate digital record (You can ask him yourself about his original Twitter handle) but he has grown up and learned how to use the tools that will help him succeed. He wouldn’t have learned in a school that blocks social media. He wouldn’t have improved if he was told to be afraid of ever posting the wrong thing online. He had great role models and he was allowed to fail on his own before discovering the best way to present himself online. If you’ve stuck with me this long, you can probably tell what an impact the conference had on me. As often happens at conferences, some of the best parts are the conversations and new contacts. I was lucky to be able to hang with all of the organizers and many presenters throughout the afternoon and evening and continue all our great conversations. Thanks so much to Marialice and David for organizing such a great event and for being such incredible hosts. Thanks to all the incredible people I got to spend time with and chat about all things digcit. I will look forward to connecting again in the future. In the meantime, I’ll be working on my iRules contract for myself and my son. Change starts with yourself! Happiness is a choice. So is social media. Why point out these stories? Because there is tons and tons (and tons) of mundane crap on the internet. Worse yet, there is a lot that’s downright horrible. This, my friends, is called humanity. You can’t pick your family or your coworkers. You are stuck with them for better or for worse. You CAN pick who you interact with online. There’s also no obligation – pick it up when you want. I’ve heard so many people tell me that they just don’t get it. They just don’t understand the appeal of going online and reading about people, “Doing their laundry” or “Brushing their teeth”… Why is it they always cite household chores?? Here’s the deal – there’s a massive stereotype about social media. It’s for teens. It’s self-indulgent and narcissistic. It’s encouraging kids to be bullies. It’s a government conspiracy to track all of us and sell us more crap…. on and on. Now, there’s an ounce of truth to some of those. Here’s the paradox I can’t get over. If those ideas bother you then you should do something about it! Choose to use social media to connect with other educators. Choose to use social media to teach your students. 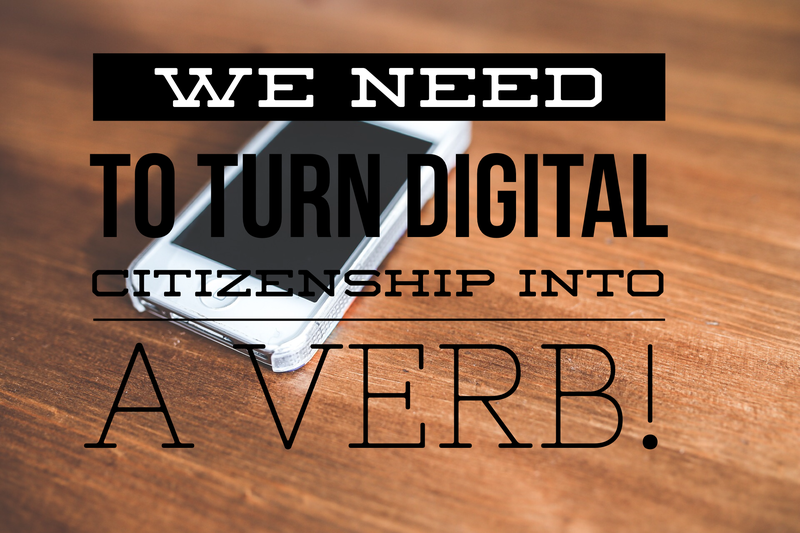 Choose to use social media to spread positive vibes and model decent digital citizenship for the next generation. It is NOT all stupid human tricks and funny dog videos (but hey, that’s fun too). Do you like to write? Start blogging. Twitter CAN be a form of writing. There are tons of naysayers, but you are telling a story when you post online. We desperately need quality passionate people to add to the digital world. Moreover, your kids will be on there whether you like it or not. Wouldn’t you rather have a firsthand understanding of the best way to utilize this tool so that you can teach the next generation? Don’t sit back and complain about the negative impact social media is having on society. As educators we not only have the opportunity to impact change in this area but I believe we have a moral obligation to do so. I’m a big believer that you have a choice in all things. You have a choice to be happy. It’s not a state that you arrive at. You have a choice to complain or to be positive. You have a choice to use social media for good. Make it a goal this coming year to get 1 unconnected educator online. Don’t worry when people sarcastically ask if you are going to tweet from the meeting you are in (because you probably are). Flood the online world with so much positivity that the next generation won’t tolerate the bullies, the flamers and the trolls. You have a choice. Change. It’s hard. Even when it looks easy. I’m willing to bet you’ve been on a diet. I’d also venture that you stumbled somewhere along the way. Sneaking some ice cream late at night, a slice of birthday cake in the teachers lounge, hey, it’s Friday, I EARNED this doughnut! Being on a die t is rough. It’s restrictive and you are literally fighting your biological tendencies to eat as much as you can and move as little as possible. Yet you know, somewhere deep inside, that you should eat more vegetables and fruits and less junk. You know you want to look better on the beach and be able to keep up with your kids. See the thing is, at least for many of us, we grow up without too much concern for how we eat, then BAM, we start gaining weight without realizing it. All of a sudden you are hauling the laundry up the steps and you’re out of breath. Maybe you change, maybe you don’t. 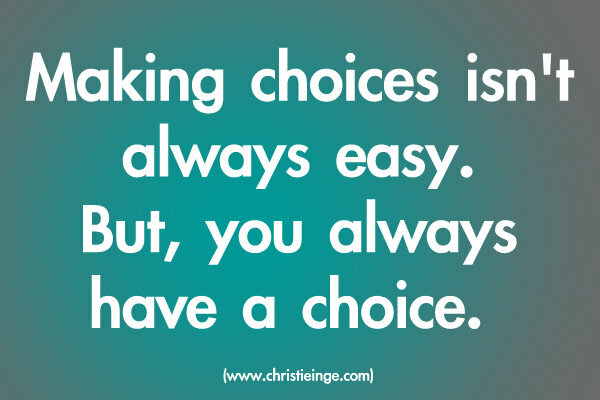 Some say it’s easy, you just have to decide you will do it. Thats great and all. In theory, it’s not hard. But it is hard. Change is hard. Even for the people that make it look easy. The first step is just committing. Then you fight and scrap and sacrifice with all you have to make sure you get healthy. You go to the birthday party and politely say no thanks to the cake. You get up at the crack of dawn and go for a run… before anybody else in your house is even awake. You spend hours preparing your food for all your lunches so that when everybody is running to the fast food joint for a quick lunch you are prepared. And then it happens. You feel it. Not just the weight loss but the utter joy and energy that have returned. The struggle that was so hard is now a memory and you are living the life you feel you were meant to. You got through that messy part. That’s where most people stop. As teachers we need a diet. We need to have a collective moment that we are going to do this. Not for the politicians and their mandates or the testing companies and their profits, but for the children we have devoted our lives to and for our very selves and the dignity of our profession. We need to make a commitment that we are going to fight through the “messy part” over the next decade (yeah, I said decade) as technology continues to become more pervasive and students continue to look less and less like the kids we remember ourselves being. They deserve this. WE deserve this. It is easier to stand in front of a room and demand cell phones and lecture than it is to have kids on laptops working on different projects at the same time (and no, I don’t mean that teaching is easy in any format…). It is easier to give everybody the same worksheet than it is to give kids a choice in what they want to learn about and to (dare I say it) let them use their cell phone in class. It’s easier to just eat the birthday cake too. Anything worth doing is… look, you get the point right?. You have heard this before. But now is the time. There’s no starting tomorrow any more. We need a collective wake up call. We need to realize that this change is both easy (in the sense that you just have to decide) and a feeling that it is insurmountable because it requires such constant vigilance and support and learning. Here’s the good part – we are all in it together. You do not have to go it alone. Even if nobody in your school wants to help you (and I doubt that) you have to world of teachers on Twitter, Voxer and Blogs. I’ve met a lot of them. They are awesome and they want to help you. Yes, YOU! So put down that cookie and start tweeting. The kids are coming for you and they’re eager for change.